Why is Penn Station falling apart along with Amtrak, New York City commuter railroads and the New York City subways? It is because the public utility concept of running enterprises—the idea that certain enterprises shouldn’t be privately owned because all the people who run them care about is profits—is taking over more and more parts of the American economy. This constitutes of a kind of backdoor socialism. It is a socialism without doctrines. It is one in which no one mentions Karl Marx. Nevertheless, it is collectivism, which, thankfully, millions of Americans today still don’t want, especially those who live in subway hell—those who must ride government transit systems here in the New York City. Generations of state enterprise disasters finally are registering with overburdened taxpayers and harried train riders in New York City. The New York City subways, Amtrak and other government enterprises continue to cause endless headaches. For instance, this summer, owing to Penn Station’s maintenance problems, the number of trains will be reduced. Still, mainstream media and our political class consistently—many of whom are unconscious followers of backdoor socialism—miss the point. Even now they still don’t understand the origins of the crisis of transportation systems run by government. They advocate fixing the system with more state dollars. Why have they learned nothing? It’s because few have time for history, a history that could embarrass many of our politicians. The disastrous management of the subways is actually a story of generations of the limitless failures of government. Indeed, most of the analyses and criticisms of government ownership and management of the subways seem to overlook the sorry record of government ownership and operation of transportation companies. So naturally, even now, they work from a proposition that Albany and Washington, owing to their ability to tax and spend, are omnipotent. History proves the opposite. Albany and Washington have already poured hundreds of billions into Amtrak and the subways over decades. And today government trains are worse than ever. That’s because these taxpayer dollars were spent based on political pressures, not the commonsense of profit and loss employed by sage business people. The latter have lived their lives in the private sector, only surviving and, in some cases, prospering because they pleased customers. So how do will the subways be saved? They will not be saved by more of the same. Let us begin with the reasonable proposition that Amtrak and the subways have been ruined by government. Hence, the point isn’t to have another politician or still another flawed, unaccountable state or city authority reform the system. Haven’t they done enough harm already? Supposedly, they have been “fixing” the subway system for more than 75 years. They—various state, city authorities along with their political allies—have often caved to special interests. They are the ones who made the mess. This letting the government handle all mass transit systems philosophy is illogical. It is tantamount to putting a firebug in charge of a campaign to stop arson. The reasoning is as specious as that of New York City Mayor Bill de Blasio, who now says he will solve the problems of the subways. The mayor is obviously betting on the historical illiteracy of the citizens when he says the city should take over the subways from a state authority. The city took over the subways in 1940, then ceded them to the state a generation later. Mayor LaGuardia drove the first train after the last private management company was ousted from the subways in 1940. He also promised a Second Avenue subway line. It took three bond issues over more than half a century even to get just a few stops of the Second Avenue going. New York Governor Cuomo, in recently opening the stations, congratulated himself. However, he hasn’t explained where is the reverse signaling system the subways desperately need but haven’t been able to afford over decades. What happened after the city pols and their authorities took over in 1940? They ruined a system once called “an engineering marvel” in the earliest days of the subways as recounted in Robert Caro’s biography of Robert Moses, “Power Broker.” It was a system in which the private management companies made money in their first 15 years or so and provided good service until the heavy hand of regulation ruined them. This is no different than how the heavy hand of rent controls ruined many a property owner in New York City over generations. This a period in which the private management companies built the first lines in 1904 under a contract with the city. However, decades later city officials, including the notoriously venal state senator and mayor Jimmy Walker, pushed for greater control of the private management companies. They prevented them from raising the nickel fare after the inflation of World War I drove up costs and later pushed them into bankruptcy. Chodorov’s analysis would come to pass again in the 1970s under President Richard Nixon (This is the same Nixon who imposed wage and price controls, kept interest rates artificially low, proclaimed himself a Keynesian and led the nation into a decade of stagflation). In the 1970s a group of passenger railroads that had been squeezed into bankruptcy by the overregulation of the ICC as detailed in the book “No Way to Run a Railroad: The Untold Story of the Penn Central Crisis” by Stephen Salisbury. By 1971, this idea let private railroads pay for the rope that the government could hang them with happened. Americans got a national passenger railroad system called Amtrak. Amtrak officials, at the founding, then promised “the greatest turnaround in business history,” as detailed in the book “End of the Line.” That hasn’t exactly happened as anyone who uses Penn Station these days will tell you (Amtrak lost at least $13 billion between 1972 and 1997, according to author Stephen Moore). In fact, all the lines using Penn Station, including New Jersey Transit, the Long Island Railroad and the New York City subways, are deep in the red. But why should anyone be surprised that state enterprises have failed? 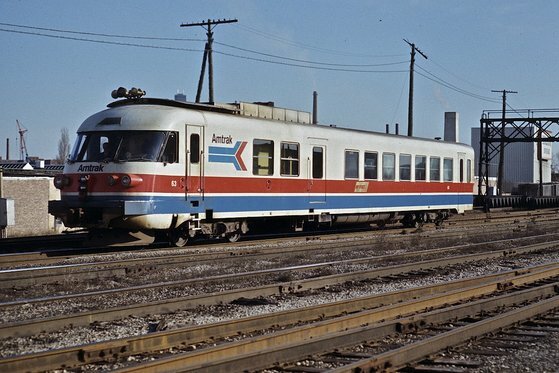 One doesn’t have to go back to the 1970s—when Amtrak was born and the government promised state enterprise would make money—or the 1940s to find endless failures in state enterprise. Take the state of Michigan in the early nineteenth century. So, the government decided to build a railroad. Many politicians wanted a say in how trains were run. The problems, as documented by one historian reviewing the Michigan experience of a state railroad, appear similar to the latter problems of the New York City subways and Amtrak. “Overloaded locomotives were run at twice the recommended speed. Under the strain of continuous operation and jarring impact of high speed on strap-on rails, locomotives and cars were shaken to pieces, and the cost of operation mounted dramatically,” writes historian Burton Folsom. Other states also tried to run railroads and had bad experiences. Michigan, in a new constitution, ultimately banned state railroads, Folsom wrote. We should do the same and learn from history. Governments have no place running businesses. The public utility concept that is the essence of government enterprise has failed. Since government systems always lose lots of money, since there are never any profits, there is never money for the needed improvements that keep these entities healthy and growing. The businesses that we love tend to be those with fat profits. These are companies that plow back some of the profits into the company, making improvements, raising the salaries of the best employees and also attracting more and more investors. The latter want to place their money with the best managers. These are things that don’t happen under government enterprises. So the idea of giving the subways or Amtrak or any state enterprise more hard-earned taxpayer geld belongs in the ash heap of history.